Law Offices of Ira C. Yellin, LLC is committed to providing top-rate and individualized legal services to every single client. We balance our relentless and aggressive pursuit of each case with a compassionate understanding of our client's needs. At Law Offices of Ira C. Yellin, we understand how difficult it is to deal with legal issues such as a divorce or insurmountable debt and we realize the dramatic affect those problems have on our client's lives. Results are important, and we have a solid history of obtaining excellent outcomes for our clients. But, also of great importance is how clients feel they have been treated. Law Offices of Ira C. Yellin is second to none when it comes to ensuring that our clients are given the respect and attention they and their case deserve. We have a real appreciation of our clients' concerns and needs and we never lose sight of the simple fact that the client's case is often the most important matter in their life. At Law Offices of Ira C. Yellin, we make sure that the line of communication is always open between the attorney and the client. We do this by requiring that each telephone call is returned promptly and that the client is dealing directly with an attorney at all times. We concentrate our practice in the areas of Personal Injury Claims, Motor Vehcile Accidents, Family Law, Divorce Law, and Workers' Compensation. Our bankruptcy practice includes the filing of Chapter 7 and Chapter 13 cases while our domestic relations practice includes cases dealing with divorce, child support, visitation, alimony, and modifications, among other related issues. We handle all types of personal injury cases, as well as Workers' Compensation and Social Security Disability claims. 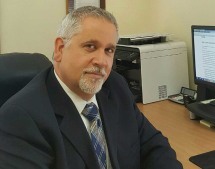 Ira Yellin has over twenty-eight years experience litigating complex and unique legal matters. The firm was created with the goal of ensuring that our clients' cases are treated as if they were our own. The continuously successful results achieved along with the praise received from our clients (see testimonials) are proof that our goal has been realized. Law Offices of Ira C. Yellin has built a reputation as a knowledgeable, competent and hands-on, personable law firm. We rely upon the satisfaction of our clients as many of our new clients come to us from previous or existing clients or from other attorneys. Ira Yellin regularly practice before the courts in Bristol, Middlesex, Norfolk, Plymouth, Suffolk and Worcester counties and the United States Bankruptcy Court. From our office in Franklin (Norfolk County) we are readily available to assist you with your most urgent and pressing legal needs. Contact Law Offices of Ira C. Yellin to set up an office appointment to discuss how we can assist you in your time of need.